WASHINGTON (AP) — New government data shows gas mileage for 2016 model year light-duty vehicles sold in the United States made smaller than expected gains in fuel economy over the last year, though new cars are generally sipping less gas and spewing less planet-warming carbon emissions than their predecessors. The Environmental Protection Agency released its latest annual CO2 fuel economy trends Thursday, showing 2016 vehicle fuel economy was 24.7 miles per gallon, higher than model year 2015 by only one-tenth of a gallon. That was well below the projected gain of 1 mpg. Carbon from vehicle tailpipes fell to 359 grams per mile, barely a one-half percent decrease from the prior year. Though those numbers fell well below the targets EPA had set for the auto industry, the agency touted the overall direction of the improvements. Since 2004, fuel economy and CO2 emissions have improved in ten out of twelve years. 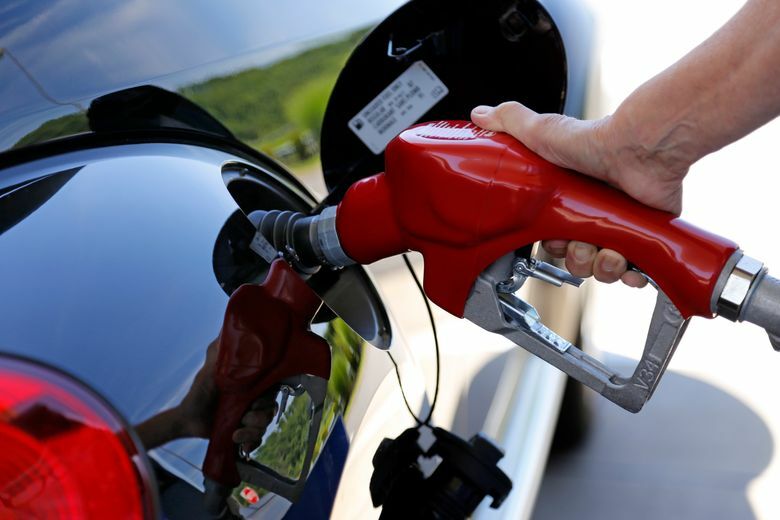 Last March, President Donald Trump traveled to the Detroit area to announce that his administration will re-examine gas mileage requirements that were affirmed in the Obama administration’s last days. Those regulations require the fleet of new cars and trucks to average 36 mpg in real-world driving by 2025, about 10 mpg over the existing standard. Environmentalists warned Trump’s decision could reverse years of reduced tailpipe emissions. Trump’s decision requires EPA to determine no later than April whether the standards established are appropriate. If the EPA determines they are not, the agency will submit a new proposal. Automakers lobbied to get the government to reopen a “midterm review” of the standards for 2022-2025. They say the EPA under Obama rushed out the review just seven days before Trump took office, reneging on promises to get industry input. The agency also didn’t place enough weight on the pronounced consumer shift to SUVs and trucks, the automakers claim. Obama’s EPA decided the standards are flexible enough to account for the market shift, and that automakers have the technology to meet them. The agency calculated that higher standards would raise vehicle costs by $875, but that would be offset by $1,620 in savings at the gas pump. Environmental groups expect the auto industry to use static mileage to lobby for revisiting the standards and possibly relaxing them. “Automakers are taking advantage of loopholes they demanded in the rules — and grabbing huge markups on many SUVs and pickups — as they put Americans into gas-guzzling behemoths often hauling no more cargo than a cappuccino from Starbucks,” said Dan Becker, director of the Safe Climate Campaign and the Center for Auto Safety, an advocacy group that pushes for increased efficiency measures to fight global warming. Auto executives have said that they won’t change course even if the standards are relaxed, but a change would allow more trucks and SUVs to be sold without companies facing penalties for failing to meet the standards. In December, 63 percent of vehicles sold in the U.S. were trucks and SUVs. That’s 8 percentage points higher than just five years ago. Auto companies already have invested billions of dollars in efficient vehicles, and while the U.S. may relax rules, other countries are toughening them. Executives say that leaves them no choice but to keep researching ways to make gas engines more efficient and develop cheaper and longer-range electric and hydrogen fuel cell vehicles. AP Auto Writer Tom Krisher reported from Detroit.